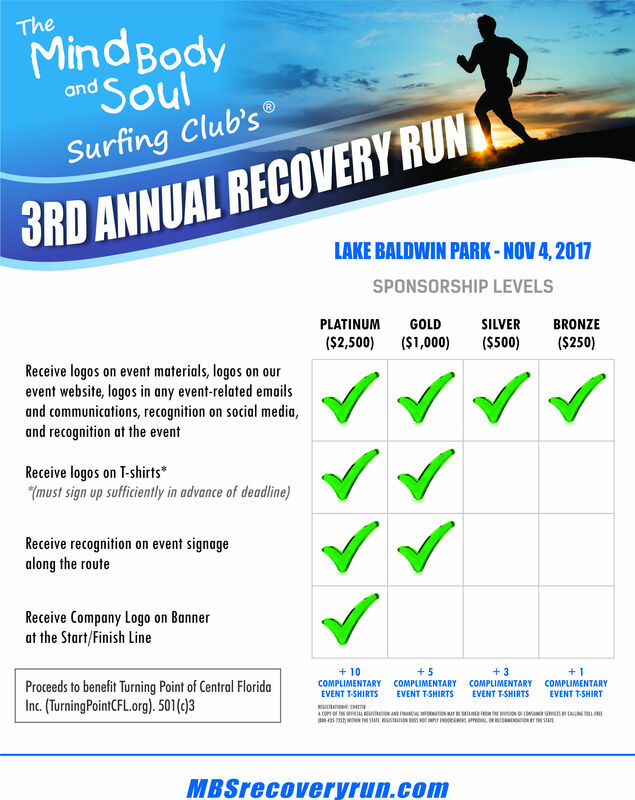 Mind Body & Soul Surfing Club hosting the 4th Annual “Recovery Run” 5 & 10k run/walk event at Lake Baldwin Park in Orlando Florida. This event is to benefit the Recovery Community in Central Florida. 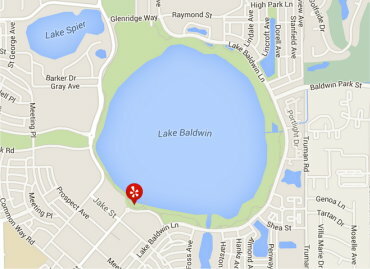 Proceeds to benefit Turning Point of Central Florida Inc. (TurningPointCFL.org). Turning Point is a 501(c)3 company that has been instrumental in providing quality outpatient treatment options in Central Florida for over 20 years, and we are motivated to help them continue their effort. Come help us support the recovery community in Orlando Florida. We invite all to attend this great event. Just about everyone is affected or knows of someone affected by this disease. We can make a difference one person at a time. You can use the buttons below to register for the run/walk or for donation and sponsorship opportunities. Proceeds to benefit Turning Point of Central Florida. Continue down the page for more details on the event. See our contact information in the footer of the page or on our social media sites. 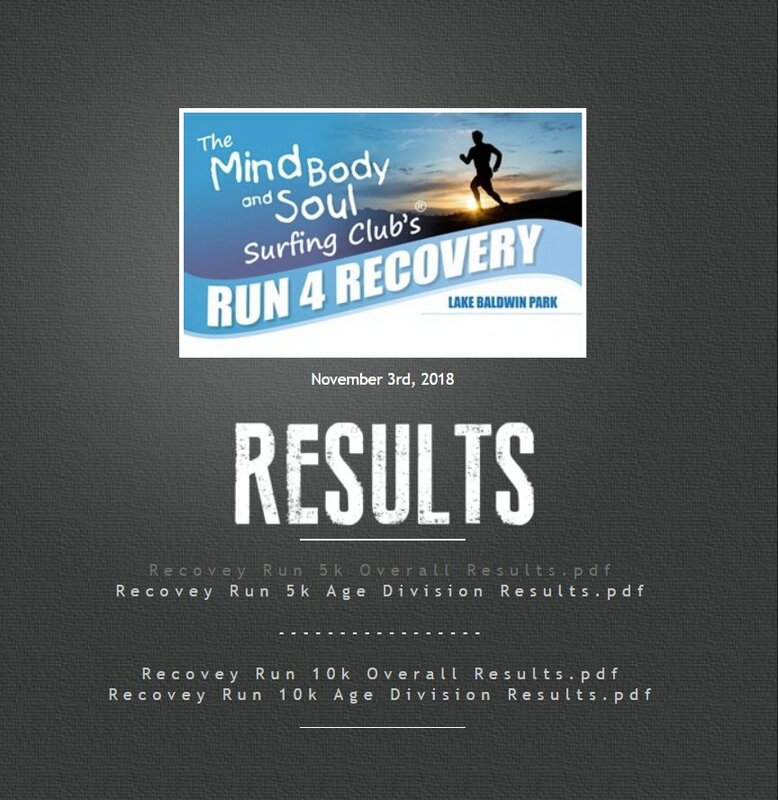 Feel free to contact us if you need assistance or have any question about the Run 4 Recovery. Chip timing system from Outa time race timing. Registration includes T-shirt and goody bag. Check out our great sponsors below. Special thanks to them all! Just click the pic to see results. 2019 results will be posted here when completed. This runners this year produced some great times. 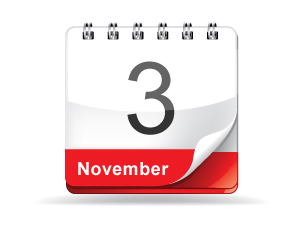 We hope to see you this next year! It was like he was running a different race. Someone come give him a challenge! 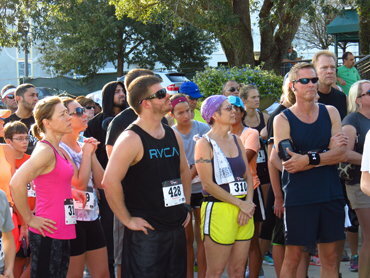 MBS Surfing Club’s 4th Annual Recovery Run!